Survey: What do you envision for 291 Carling Avenue? 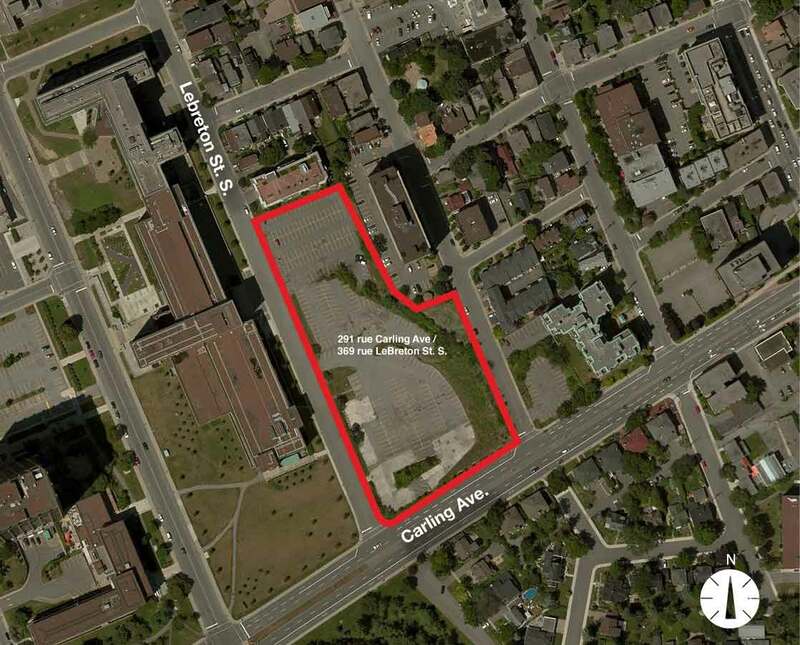 On November 28, Canada Lands Company (CLC), held a Public Information Meeting to discuss the future of 291 Carling Avenue. This is the large (3.3 acre, 300 parking space) parking lot between Bell St. South and Lebreton St. South at Carling Ave. which was acquired earlier from the federal government this year by CLC. It will be developed by CLC and the Algonquins of Ontario.The community has been requested to provide input as to what they would like to see in this space in the short term, but also in terms of legacy. This is a unique opportunity in that we are starting with a clean slate, as there are no buildings currently on the site, nor is the property slated for a specific type of project. Please find a link to the slides presented at the meeting, as well as to a survey where you can provide suggestions as to how you feel the space should be used: http://en.clc.ca/property/532. What would enhance the community? What aspirations do you have for this site? What interesting facts can you share about this site? There will be another public meeting in February 2018 in which a draft plan will be presented to the community. The plan is expected to be approved by the city in late fall 2018, after which CLC will prepare the property before marketing and selling it to builders. If interested, please fill out the survey by early January in order to provide enough time for CLC to consider your input for the February meeting. Next Next post: City of Ottawa’s Heritage Inventory Project is moving into our neighbourhood!